This was my project for Week 2:For the Boys of SYTYC. I survived another round! Voting is up for week 3 and I'd love it if you'd take a second to vote. It ends Thursday! Thanks to everyone who voted for me last week. Truly appreciate it. 2. 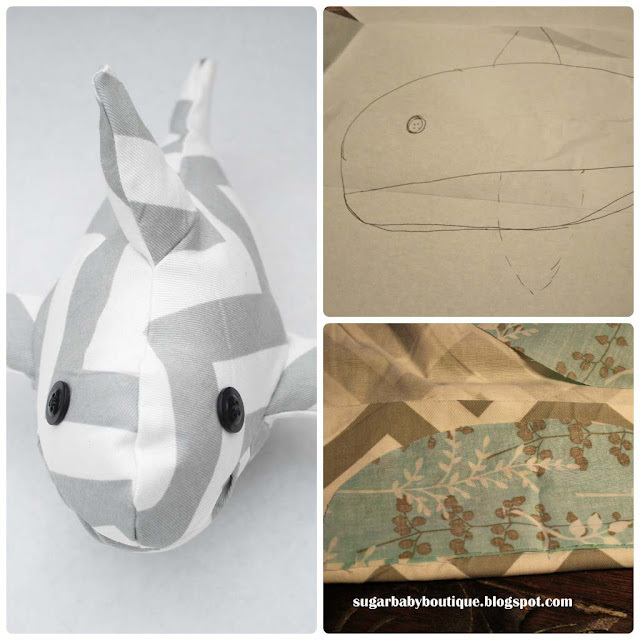 Pin the 2 body pieces together with one of the fins inserted into the seam. 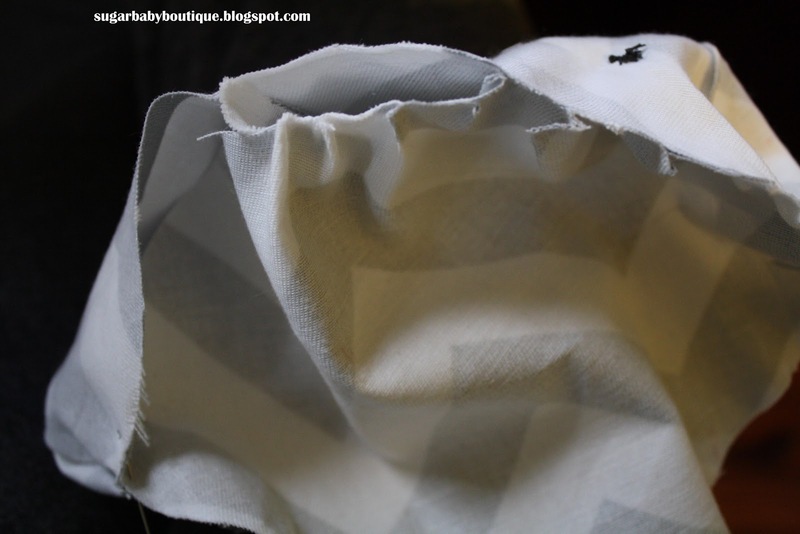 You'll need to carefully sew so the it's isn't sewn shut. 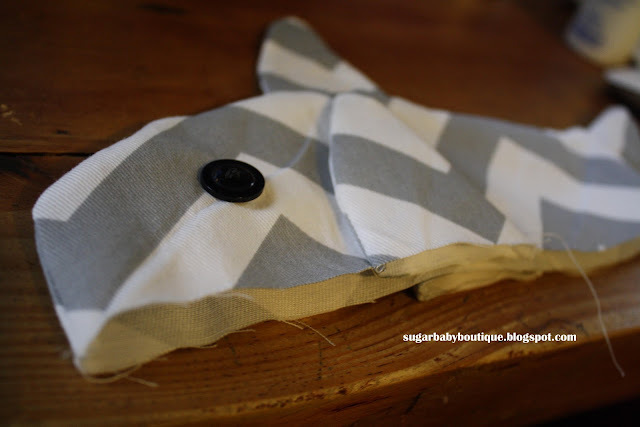 Otherwise you can stuff the fin first and then just sew the fin into the seam easily. 3. Then, sew on each of the other fins onto the body. 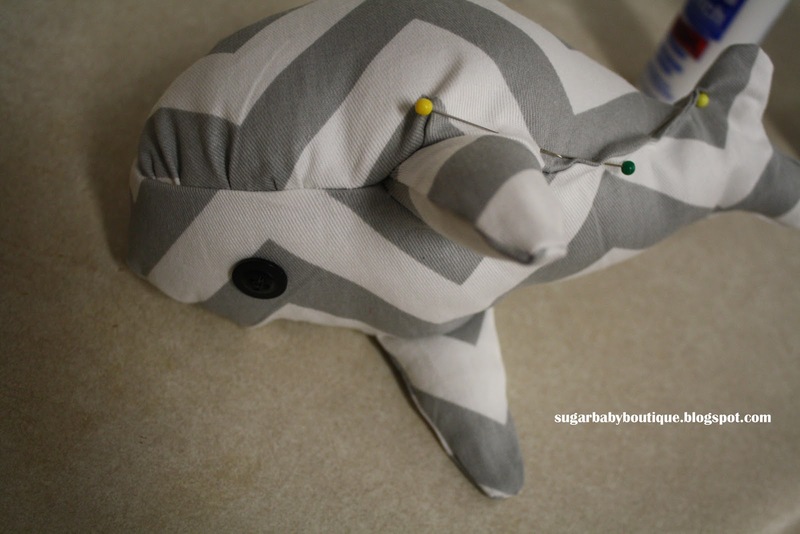 Only sewing one side of the fin so you can stuff it at the end. Or, like in step 2 you can stuff them first and then just sew them right on. 4. Sew on your eyes. This is what your shark should look like right now once it's flipped right side out. 5. 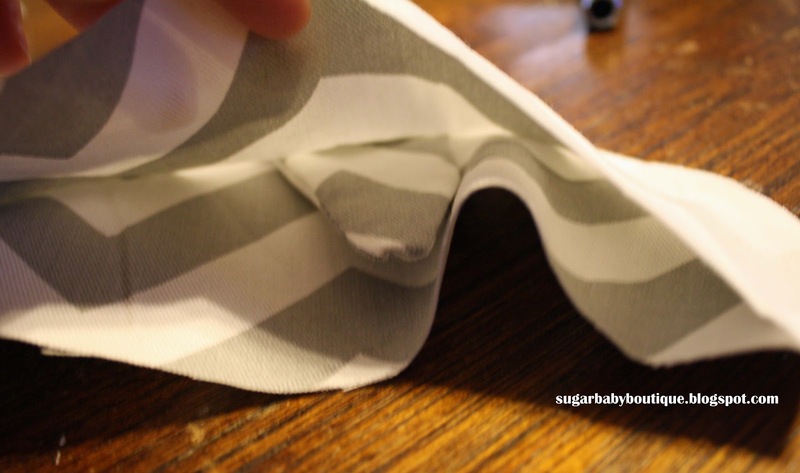 After you've sewed on your eyes, flip it inside out again and sew on the "belly" piece of your pattern (right sides together) I kind of pleated around the mouth so that it would look a little like teeth? Make sure to leave a hole somewhere around the belly so you can stuff your shark nice and big. 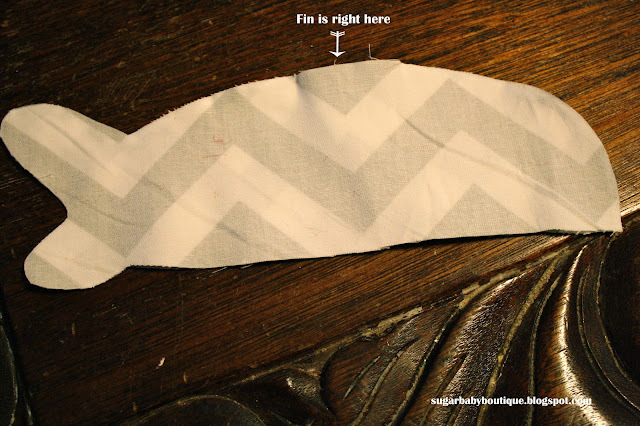 Here is a picture of how I did my fins so I could stuff them at the end. 6. 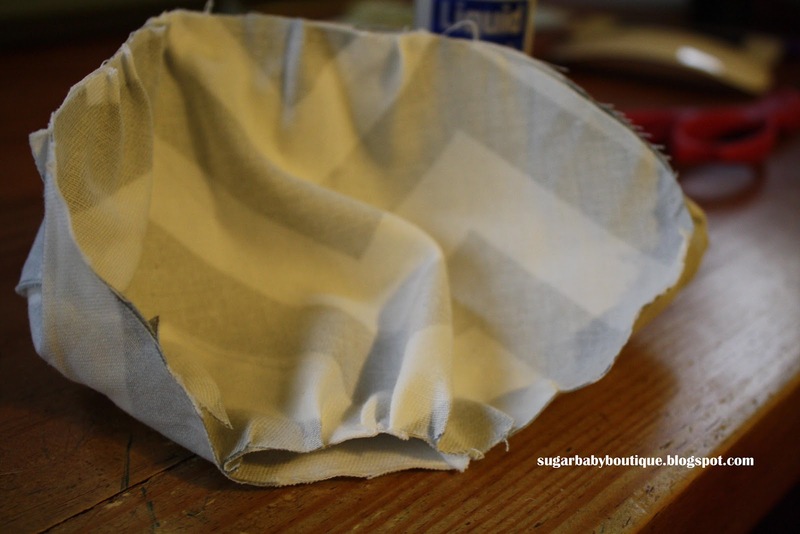 Hand sew (or use liquid-stitch) to close up the hole. Since I was using liquidstitch I folded down the seam a little and pinned until it dried. Adorable!! 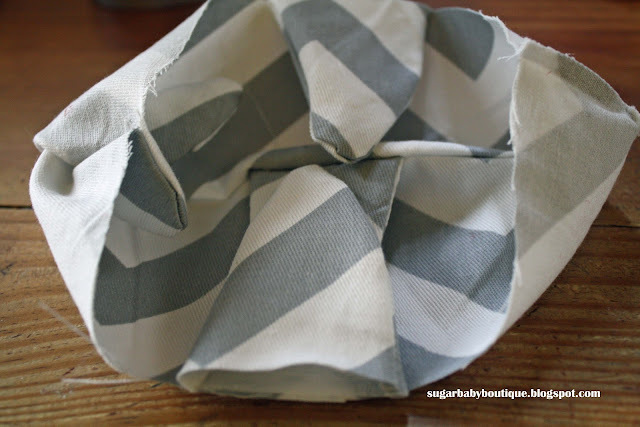 I'd like to invite you to participate in my Pin Me Linky Party. It goes Fri-Tue. I allow up to 3 links each week! I am a new follower! So cute and hip! Love the fabric choice! Great project. I an intrigued by the challenge you are doing, it is the first time I've heard of it. Sounds fun! Awesome project! I've got it pinned. 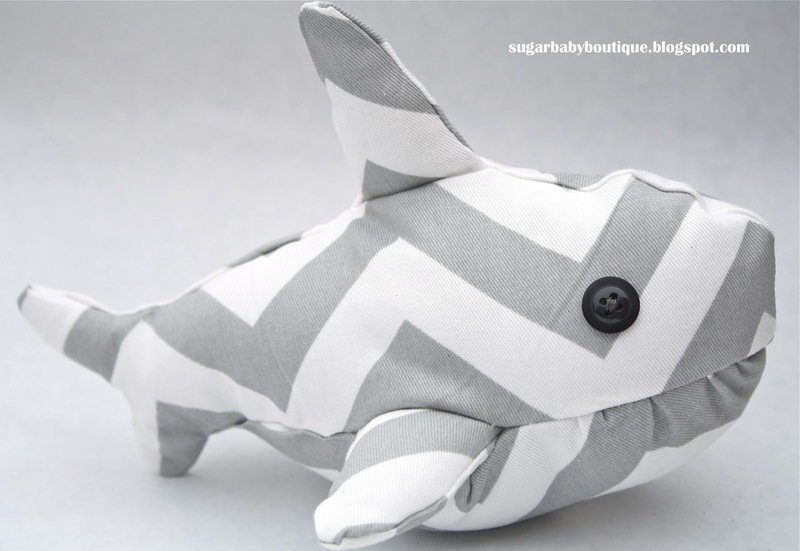 This is a totally cute shark! Oh my gosh, how cute is that! You should make some and sell them! 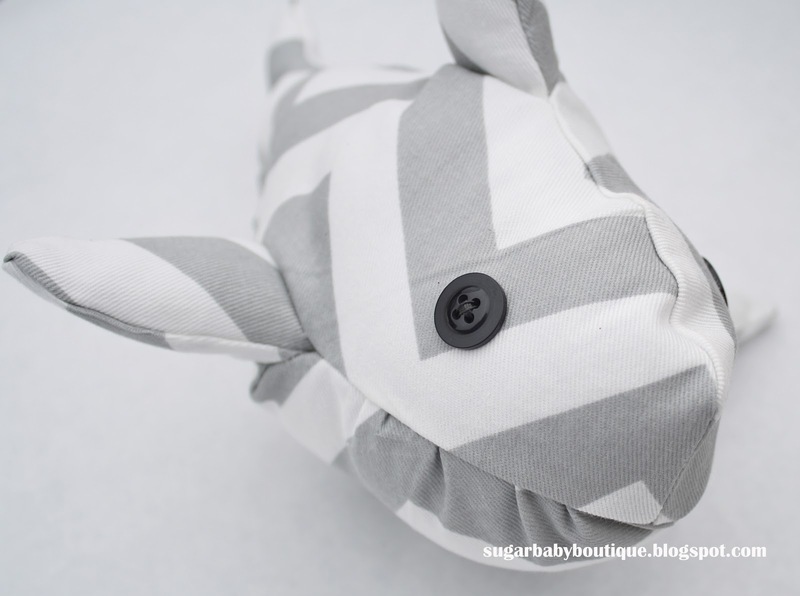 Follow Sugar Baby on Bloglovin'! My Memories. Use Code STMMMS34143 to get $10 off! Feel free to email me if you have any questions. Thanks for stopping by!